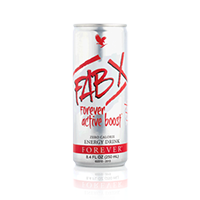 This calorie-free energy drink has the same effect as FAB. Please note: high in caffeine (28 mg/100 ml). Not recommended for children and pregnant women.